Bench capper with adjustable head. 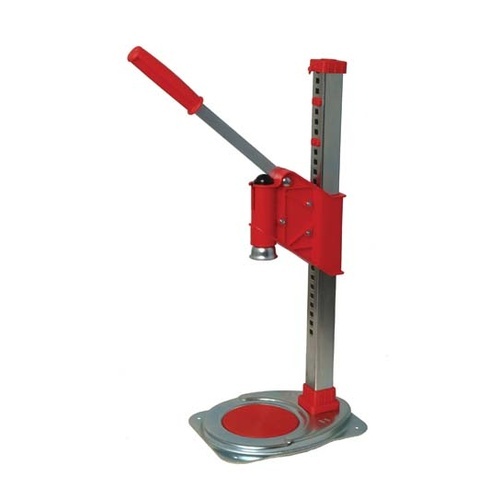 Head is moved by lifting lever arm up to vertical, then sliding the head up or down. Faster adjustments then the Delux capper, but can be changed out of position more easily.